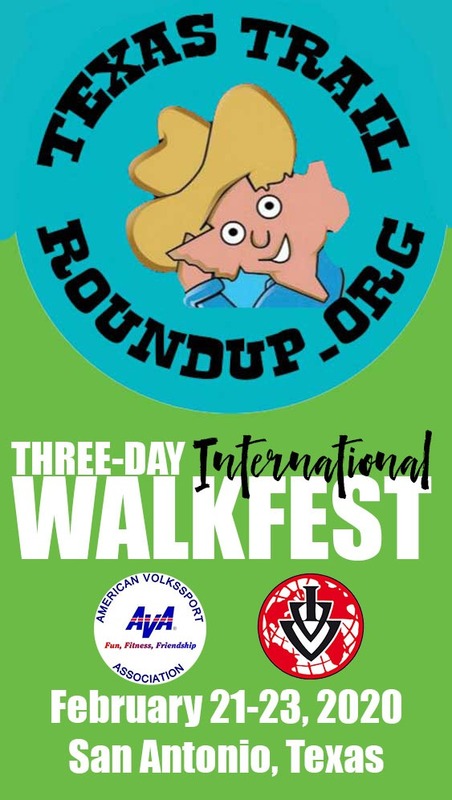 May is National Physical Fitness Month in the United States and the American Volkssport Association celebrates it with a patch. 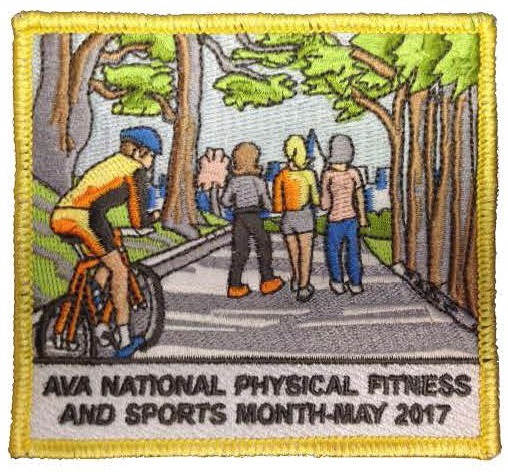 Many AVA clubs will have this patch for sale at their May walks, so grab it while you can. National Physical Fitness Month was designated in 1983 by the President’s Council on Fitness to promote healthy lifestyles among all Americans and improve our quality of life. Children and adolescents should get 60 minutes or more of physical activity daily. Most of the 60 or more minutes a day should be either moderate- or vigorous-intensity aerobic physical activity, and should include vigorous-intensity physical activity at least three days a week. As part of their 60 or more minutes of daily physical activity, children and adolescents should include muscle- and bone-strengthening physical activity at least three days of the week.